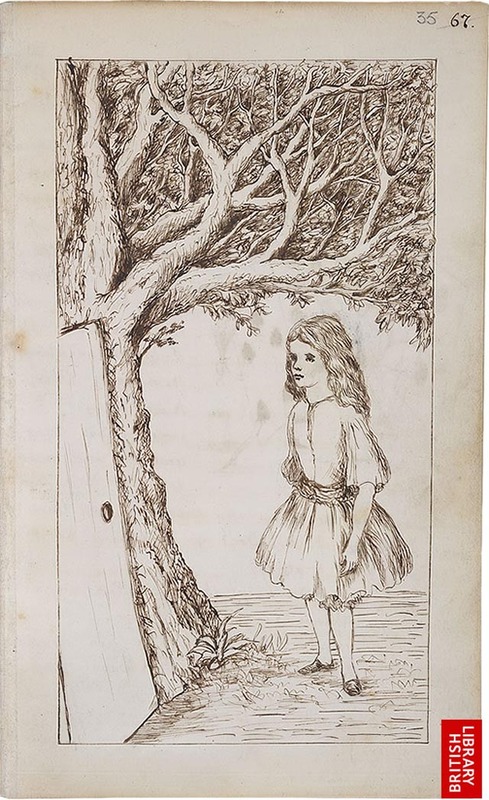 The British Library has posted an online version of the original manuscript of Alice’s Adventures Under Ground, a story handwritten and illustrated by Charles Lutwidge Dodgson (known popularly by his pseudonym Lewis Carroll) that would be revised and expanded to become the classic novel Alice’s Adventures in Wonderland. 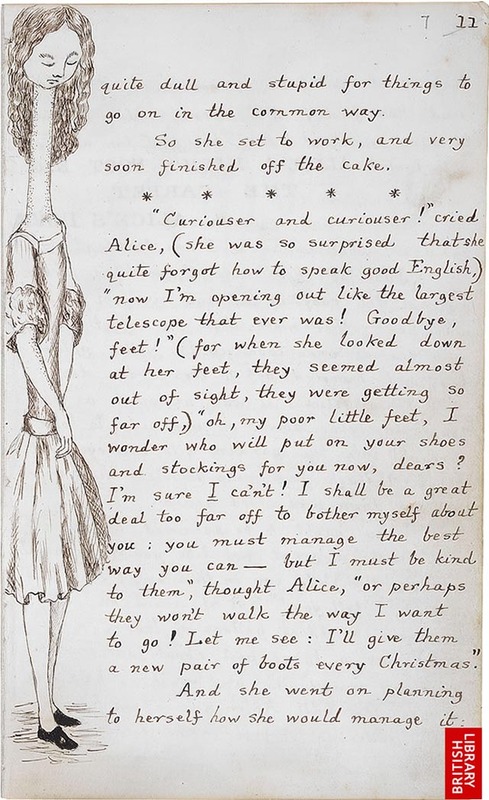 Dodgson wrote the original version in 1864 as a gift for a friend’s daughter (named Alice, naturally). 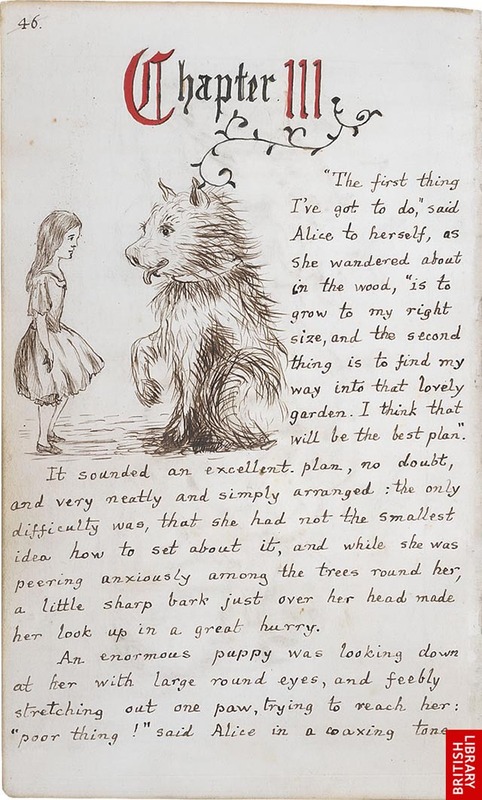 He subsequently revised and enlarged the story into Alice’s Adventures in Wonderland, which was published in 1865.